DEATH VALLEY — The National Park Service has approved a plan of operations that includes diversion and use of up to 470 gallons of water per day from Sourdough Spring, within Death Valley National Park, for use at a mine outside the park. 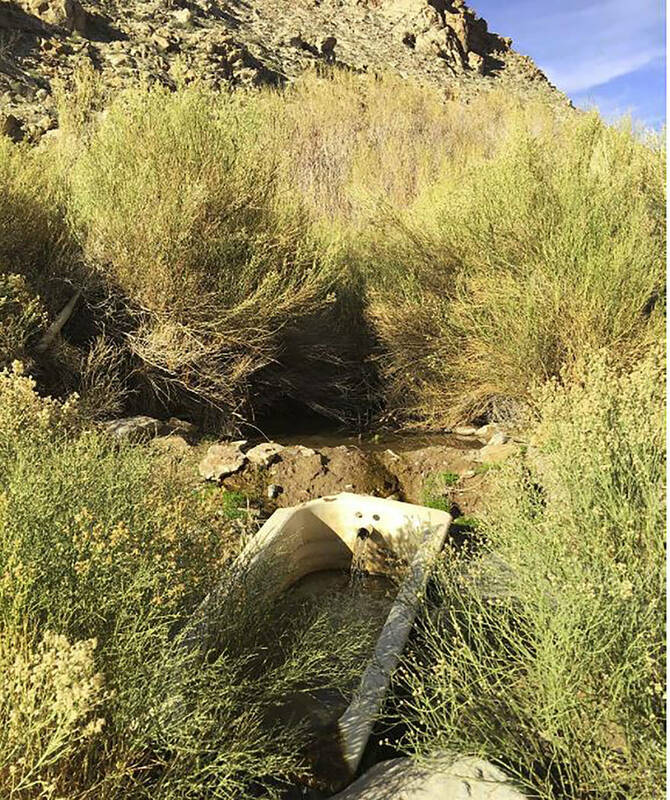 Death Valley National Park Bush Management Company plans to use the water for Keystone Mine, about one mile west of Sourdough Spring on lands administered by the U.S. Bureau of Land Management (BLM), Death Valley National Park announed. Sourdough Spring is located in Goler Wash in the Panamint Mountains. Bush Management Company (BMC) has a California State water license to divert and use up to 470 gallons per day from Sourdough Spring. This water right was established in 1941 before the area was added to Death Valley National Park. The NPS announced on March 28 that it approved Bush Management Company’s plan of operations, including the use and diversion of up to 470 gallons of water per day from Sourdough Spring. Bush Management Company plans to use the water for Keystone Mine, about one mile west of Sourdough Spring on lands administered by the U.S. Bureau of Land Management (BLM). In a related decision, the BLM announced on Nov. 29 that it approved Bush Management Company’s plan for exploratory drilling at Keystone Mine. That project includes drilling for gold on existing unpatented lode mining claims with less than one acre of disturbance.